A delicious break from ordinary white or brown rice, wild rice has a crispy black husk and is packed with natural fiber and minerals, and makes for an excellent stuffing or salad! 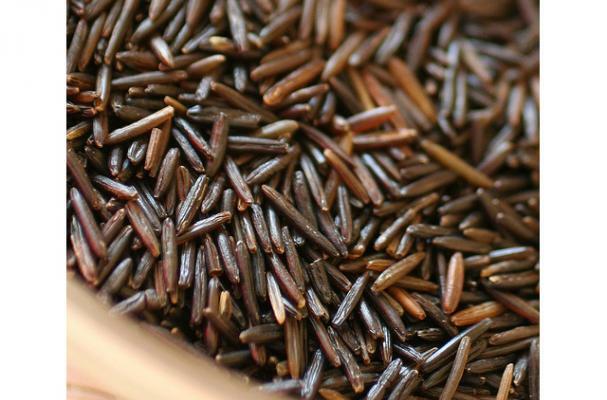 Wrapping up September, this week is National Wild Rice Week, so why not celebrate? Perfect for autumn, here are 5 of my favorite gluten free & vegetarian wild rice recipes to explore and love. Looking ahead to Thanksgiving yet? Any of these excellent dishes will serve as a fabulous side dish! Classic autumn flavors in perfect harmony - dressed up with avocado, fresh coriander (cilantro) and a delicious dressing! Just be sure to use your favorite GF soy sauce. Dairy Free. Creamy goat cheese, fragrant rosemary and crunchy wild rice with just a hint of garlic and a honey-lemon dressing make for an unforgettable salad. Lightly sweet and creamy acorn squash halves are filled with wild rice and fresh herbs, topped off with toasted pumpkin seeds and bleu cheese - we have a winner! An all-American classic! Substitue corn starch or use your favorite GF flour blend to thicken the soup, or omit all together! Dairy Free Option: Use coconut cream! A new addition to the classic comfort foods list? I'm thinking yes! Substitue corn starch or use your favorite GF flour blend to thicken this recipe. Vegetarian Option: Use finely chopped mushrooms in place of the ground beef.